Monster lovers from around Northern California and beyond gathered in Sonoma County last weekend for the third annual Silver Scream Festival, which took place at the Roxy Stadium 14 Cinemas in downtown Santa Rosa and boasted a lineup of both classic and new horror and sci-fi films, with celebrity guests, panel discussions, special effects makeup demonstrations and more. 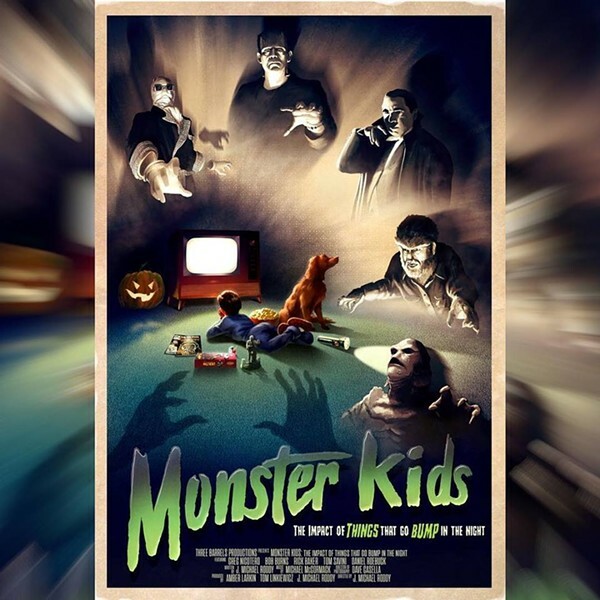 Hosted by Famous Monsters of Filmland Magazine and the Santa Rosa Entertainment Group, which owns and operates the Roxy Stadium 14, the festival welcomed horror and film fanatics from Friday, Feb 16, to Sunday, Feb 18. Overall, the event was a blast for fans of the genre with dozens of feature-length and short films to see in an intimate setting and many of the genres brightest stars in attendance. Writer/Director John Russo (right) and the Heroines of Horror chop the ribbon to open Silver Scream Fest. 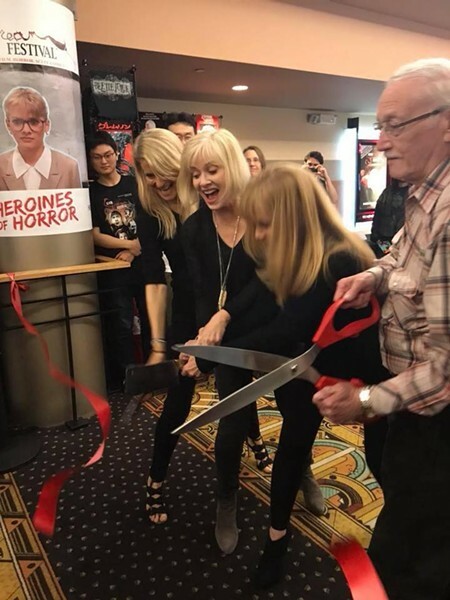 Opening night kicked-off with a ribbon cutting in the Roxy’s upstairs lobby featuring actresses Barbara Crampton, Kelli Maroney and Suzanne Snyder–collectively appearing in the festival’s “Heroines of Horror” panel and each screening one of their films – as well as writer and filmmaker John Russo, best known as the co-creator of 1968’s Night of the Living Dead. From there, attendees had several options for film screenings and events, starting with 1988’s Killer Klowns from Outer Space, starring Suzanne Snyder, who spoke with affection for the film’s outlandish practical effects and who also revealed that she scares easily in horror films. A handful of brand-new indie films opened at the festival, including the vampire thriller Living Among Us, with director Brian Metcalf and several members of the cast on hand for a Q&A. Friday night also held a reception nearby at Third Street Aleworks to celebrate the birthday of Silver Scream’s special guest Ricou Browning, best known as the Gill-Man in The Creature from the Black Lagoon films. 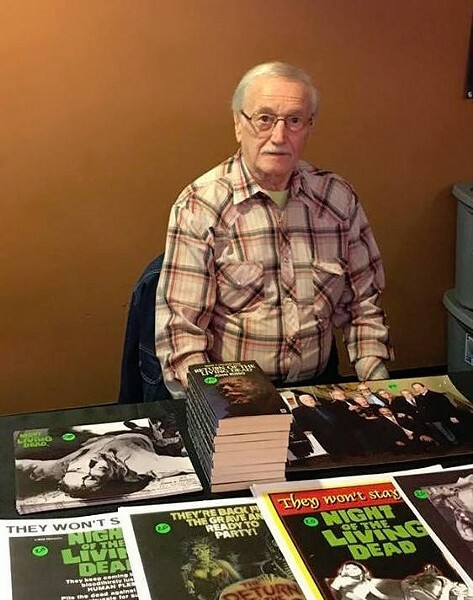 Browning is the only living actor to portray one of the classic Universal monsters, and at 88 years old, he still revels in the chance to meet fans and talk films. 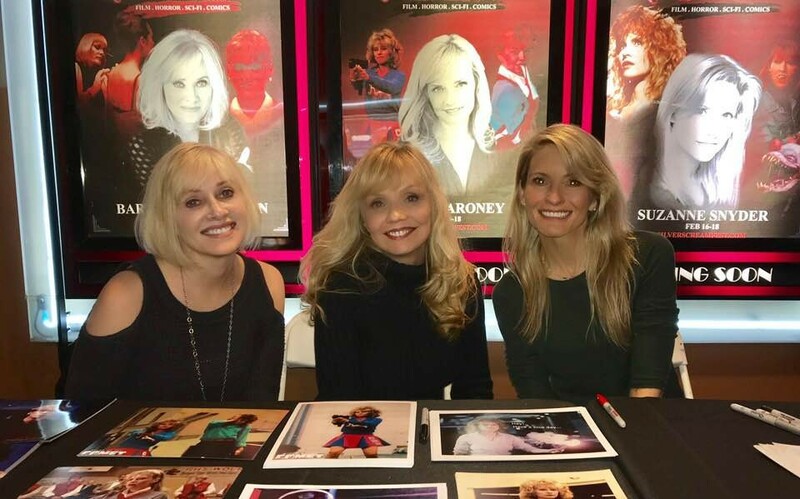 From left to right: Barbara Crampton, Kelli Maroney and Suzanne Snyder are the heroines of horror. Saturday, Feb 17, started with a screening of Barbara Crampton’s not-yet-released film, Replace. 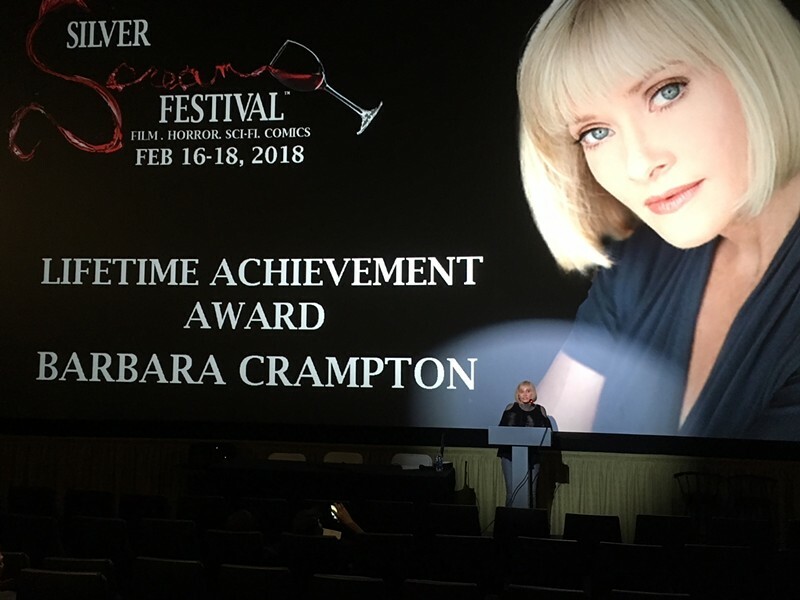 Crampton also received Silver Scream’s inaugural Lifetime Achievement Award on Saturday, accepting a large butcher knife trophy with graciousness and thanking the fans for embracing her in the horror genre. Crampton’s 30-year career in horror films includes classic ‘80s fare like Re-Animator and From Beyond, and modern day films like We Are Still Here and Sun Choke. Barbara Crampton thanks the fans during her Silver Scream Lifetime Achievement Award acceptance speech. Kelli Maroney was on hand for the screening of her 1984 cult classic, Night of the Comet, and she spoke of her friendship with co-star Catherine Mary Stewart and recounted how the film depicted an abandoned Los Angeles after a comet turns everybody to dust. Maroney then joined Crampton and Snyder for the Heroines of Horror panel, moderated by director Jackie Kong. Unfortunately, this was the festival’s only real let down, as Kong seemingly never got the message that this panel was a celebration of these women’s strength rather than their screams, and as a moderator she failed to really let the panelists speak fully on the breadth of their experiences. Classic horror lovers soaked up Saturday’s lineup of all three Creature from the Black Lagoon films, which mostly hold up to today’s standards with excellent costume design and stunning underwater sequences. Saturday also including the brand-new Criterion Collection edition of Night of the Living Dead on the big screen, and co-writer John Russo appeared for a Q&A in which he spoke about creating the modern zombie movement almost by mistake, and how the film’s legacy has impacted his career in horror. Saturday concluded with a special VIP dinner across town at the Flamingo Resort, and attendees at that dinner rubbed elbows with the stars and enjoyed live entertainment, all while raising money for North Bay fire relief efforts. Sunday was a short day, opening with screenings of classic horror/comedy Blood Diner, with director Jackie Kong on hand, and Maniac, with director Bill Lustig in attendance. This reporter was honored to moderate the Q&A with Lustig, who is a natural storyteller. Lustig offered insight into going to grindhouse theaters as a kid in 1970s New York City, and how he made Maniac on a shoestring budget. EllieMacs SFX applies makeup to a zombie at the Silver Scream Fest. During the weekend, the lobby was also filled with the ghastly goodness of horror makeup demonstrations by experts Walter Welsh, seen on the television series Face Off, and Ellinor Rosander, who’s YouTube makeup tutorial channel EllieMacs SFX garners millions of views. At the end of Sunday, the awards ceremony celebrated the best of the fest, and winners included Horror feature Butterfly Kisses, comedy feature Killing Diaz, documentary Monster Kids, horror short Lunch Ladies and comedy short Late. 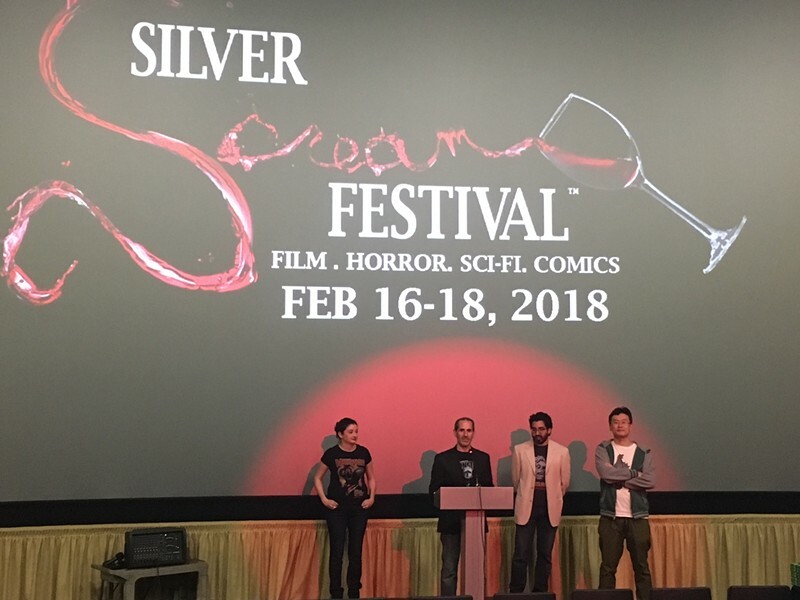 Famous Monsters of Filmland and Santa Rosa Entertainment group present awards at the Silver Scream Fest.